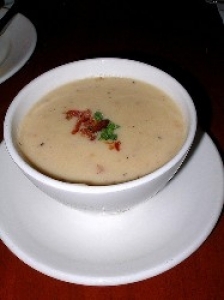 Have you made Canadian Cheese Soup? 1. 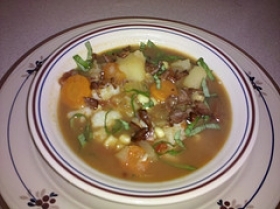 In a deep, 3-quart, heat-resistant, non-metallic casserole place 1 cup water, potatoes, onion, carrots and celery. 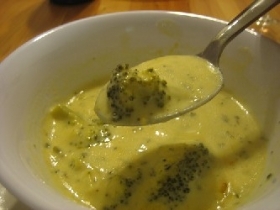 Heat, covered, in Microwave Oven 8 minutes or until vegetables are tender. 2. 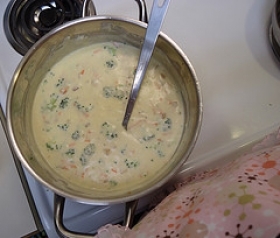 Add remaining ingredients, except parsley, and heat, covered, 5 minutes or until soup bubbles and cheese has melted. Stir occasionally. 3. Serve garnished with chopped parsley. 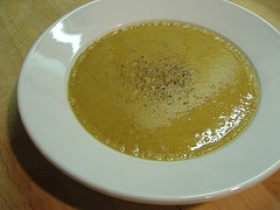 This recipe is high in Vitamin A with 39% of your daily recommended intake per serving. This recipe is a good source of Vitamin C with 15% of your daily recommended intake per serving. This recipe contains potential food allergens and will effect people with MSG, Potato, Poultry, Cheese, Celery, Onion allergies.